Want to increase your personal savings and find the best personal savings account? Learn what to do in this helpful guide from the experts at AAA. There’s no harm in hoping that you’re the next Powerball lottery winner, but responsibly managing your personal savings requires more than good luck. The road to financial security begins with meticulous (and realistic) planning and budgeting. Whether you’re saving for college, retirement, a new car or an emergency, the first step in managing your personal savings is to set a goal. Start off by asking yourself this simple question: What’s your personal savings goal? A savings goal is an important part of a budget. Once you have set your goal, then you can create a budget. Financial advisers often recommend that we put aside 20 percent of our income toward savings, which includes retirement and debt. This is what’s known as the 50/30/20 rule. The gist of the rule is this: Allocate 50 percent of your income toward necessities like rent or mortgage and other living expenses. Another 30 percent should be set aside for vacations and lifestyle expenses. The remaining 20 percent should be put toward retirement and cash savings. Of course, it’s easier to adhere to this plan when you have more income to play with. But managing your personal savings – at any income bracket – can become a habit with practice. Here’s an easy trick to start saving: Set up an automatic transfer through your payroll system. That way funds from each paycheck will go directly into your savings. Think of your personal savings as another bill. You’re essentially paying yourself and making that a priority before anything else. With automatic transfers, you don’t have to think about the money that’s being allocated to your savings. If a 20 percent savings plan isn’t practical for your lifestyle, set aside 15 percent or whatever works for your goal and budget. Consider this: How much do you earn and what are your expenses? 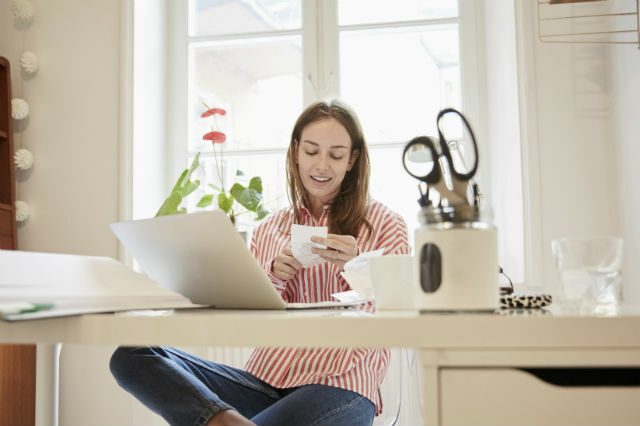 You’ll likely have to reassess your budget and set your financial priorities. If it’s any comfort, know that you’re not alone in this struggle. In fact many other Americans also have difficulty managing their personal savings. 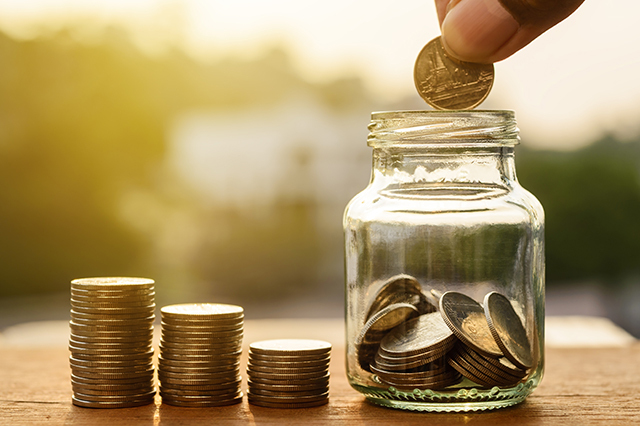 GOBankingRates, in partnership with The Penny Hoarder, surveyed 3,000 Americans in 2014 and found that 44.5 percent didn’t have a savings account at all. Another 28.5 percent had less than $1,000 in their savings account. There are numerous budget apps and online calculators available through your bank which can help you manage your budget. Take advantage of them. The first step in managing your personal savings is to gain financial awareness. With a budget in hand, you can begin eliminating unnecessary expenses. Research how you can lower your phone, electric, gas and/or other monthly expenses. Find out if you’re eligible for cost-savings programs. Keep track of your spending, and, as a rule of thumb, always live below your means. You’ll be surprised to know that some of the richest people in the world are also some of the most frugal. Distinguish between what you need and what you want. Perhaps you need new shoes, but do you need designer ones that you really can’t afford? Instead of impulse shopping for items that are out of your budget, wait a few weeks before making a purchase. After a few weeks pass, see if you still want to make that purchase. These short-term financial goals will help you meet long-term plans like retirement and paying off your debt. Now that you’ve established your financial goal and created a budget, you can move on to the next step: What’s the best savings account for you? Choosing a bank account really depends on your personal needs. Are you looking for an account to hold your cash and accrue the highest possible interest? If so, find a personal savings account with a competitive annual percentage yield (1.20 percent or 1.15 percent). Or perhaps you want to take advantage of signup cash rewards. Banks often give new customers cash bonuses when they open a new account with a minimum balance. Do a bit of online research and find the right bank account for your needs. 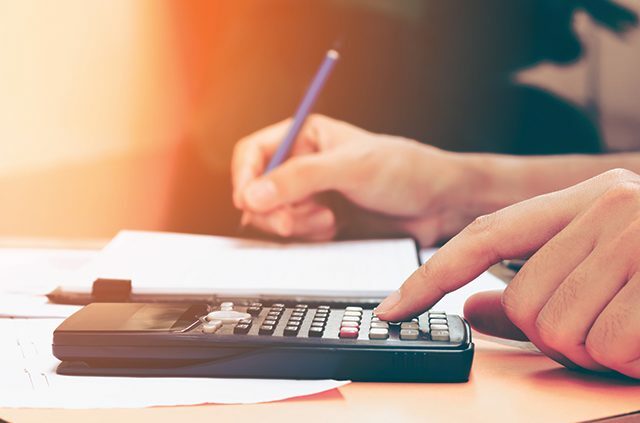 While you’re looking at bank account features, you may also consider opting out of overdraft protection, especially if you’re prone to overspend and accrue overdraft fees. Over time these fees add up. That money spent on unnecessary fees could have been used toward a fun experience like a tropical getaway. Here’s another savings tip: Open a savings account with a different bank than your checking account. Do you often transfer money from your savings to your checking under the empty promise that you’ll repay it? Having accounts at different banks makes it more cumbersome to borrow money from your savings. Find the resources you need to make sure you’re on track with your personal savings goal. Many banks offer interactive guides and calculators to help you stay focused and meet your personal savings goals. And if you’re not sure, contact a financial planner. The experts are there to help. Have any tips of your own for saving money? Share them with your fellow AAA members in the comments section below! For accounts that can help you save, check out the AAA Deposit Program. 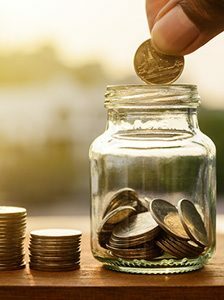 Article tags: a new car, a savings account, AAA, apps, best savings, best savings account, car, expenses, financial, gas, mortgage, new car, open a savings account, personal savings, personal savings account, retirement, rewards, save, savings, savings plan, the best savings account.